SIS executive director Rozana Isa wants the health ministry to educate people about female circumcision not serving any medical purpose. KUALA LUMPUR: Female circumcision does not have any medical benefit and must be stopped, women’s rights groups said today, adding that the practice is still prevalent in certain Malay communities. Sisters in Islam executive director Rozana Isa said the practice was nothing more than a cultural tradition. “It is a cultural tradition. It is something that we can change because culture can change for the betterment of women and girls,” Rozana said at a press conference after the launch of a report on gender equality. She, along with other women’s rights groups, urged the health ministry to educate people about the practice not serving any medical purpose. She added they would welcome engagement with the ministry and also relevant religious bodies towards implementing a policy to protect Malaysian girls from this. 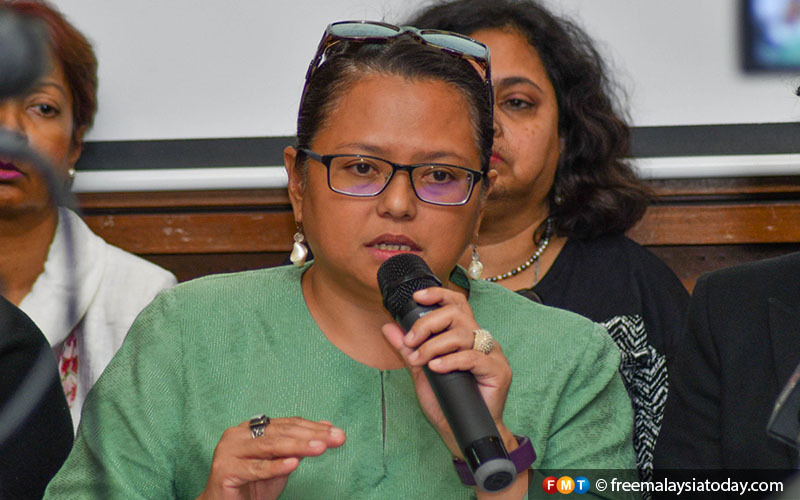 Meanwhile, Mary Shanthi Dairiam, founding director of International Women’s Rights Action Watch Asia Pacific (IWRAW), said even though the practice in Malaysia might not be harmful, it perpetuated a “harmful ideology” that women were not equal to men. “It may not be seen to be harmful, but there may be an ideology behind it that perpetuates the inferior status of women. And female genital mutilation comes in this category. “It may seem like a minor thing – it doesn’t hurt, it has no repercussions, it has no harmful effect on the body – and therefore, some people may be questioning why we want to get rid of it,” she said. The bigger issue, she said, was the belief that female circumcision would prevent a woman from having sexual urges and “going wild”. Rozana and Shanthi were speaking on the sidelines of the launch of a gender equality report called “The Status of Women’s Human Rights: 24 years of CEDAW in Malaysia” coordinated by the Women’s Aid Organisation (WAO) and the Joint Action Group for Gender Equality (JAG). CEDAW refers to the UN’s Convention on the Elimination of all Forms of Discrimination Against Women (CEDAW). However, the chairman of the Parliamentary Select Committee for Rights and Gender Equality, Nor Azrina Surip, said female circumcision was often misunderstood as female genital mutilation. She added that female circumcision in Islam was allowed, but not mandatory.